The battle for Wakanda begins in Marvel's Black Panther. Decide who will be the next king with a little help from Funko. 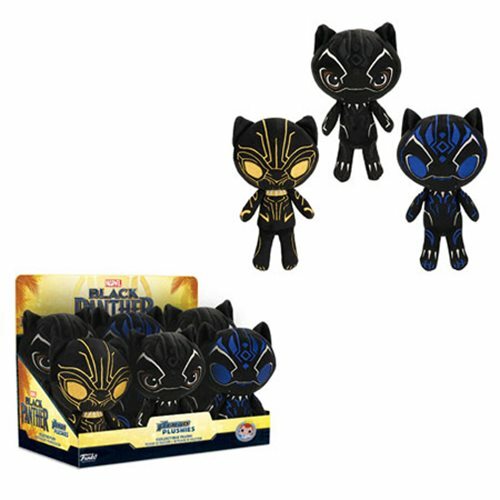 This Black Panther Plushies Display Case includes Black Panther, Erik Kilmonger, and a Black Panther with his glowing suit. All ages!